Vicky Pond Dunlop, Director Enlighten Education New Zealand. "Young women have so many expectations thrown at them that it can get overwhelming. I love how these same young women will leave an Enlighten Education workshop with tools and resources to build resilience against future challenges. It is an honour to be part of that emerging understanding of their purpose and their worth." Vicky is Program Director for Enlighten Education New Zealand. She has worked in both the business and education sectors, developing leadership capability and coaching to develop personal mastery in her clients. Her work with young women started while being a substitute parent for a few young women who were struggling in their relationship with their parents and needed a place to recalibrate, as well as the wealth of knowledge gained from being a mother of two girls. She has recently completed academic research on the influence of secondary school on young women’s aspirations to be leaders, gaining a Dean’s Award for excellence for her Master’s thesis. 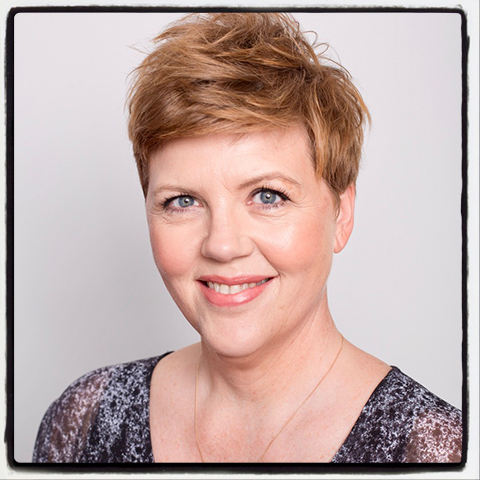 Vicky is an International Coach Federation (ICF) certified transformative coach. She continues to seek opportunities to support others to develop strategies to reach their goals. She has a BA in Education and Media, Master of Educational Leadership and a Graduate Diploma in Psychology, which fuelled her interest in how young women are influenced by their social groups, and societal expectations. Vicky is sublimely stoked to be part of the Enlighten Education team! I had the pleasure of seeing an up-to-date, relevant, fun, engaging and motivating program. The girls were engaged and into the whole day which is saying something. I gained a great refreshing way of interacting with my girls in the boarding house that I will be able to use immediately and every day, how great is that! You women rock, keep up the great work and I look forward to seeing it all again sometime! Thank-you Kelly. Our students thoroughly enjoyed the sessions. After reading the evaluations and speaking to the students they obviously gained so much from them. Kelly was an excellent facilitator and the students responded well to her bubbly personality. Kelly was thoroughly professional in her dealings with the school and the students. We would warmly welcome her back in the school in the future to take more sessions.This was definitely a highlight of the term for the Year 10 girls. It was a fantastic programme delivered in a relaxed, interesting way. The students took on board the information given and some made an effort to change some of their negative behaviours. I would recommend this programme for other schools and would love to do this again next year. Rachel set a great scene and her enthusiasm was infectious. The girls loved her and she was real. I enjoyed being part of the day and have reignited my passion for girls issues particularly around body image. We are sooo much more than a number, eg. weight, body measurement, dress size, etc. I had nothing but positive feedback from my girls. It is great to realise that we are teaching our girls in a positive way. We are very glad the student feedback is so good. We have had some emails from parents saying their girls really enjoyed it. We look forward to those far reaching impacts, which I am sure, will come. Your enthusiasm was fantastic; your energy enviable. Look forward to working with you again! The workshops were delivered very professionally and you had the ability to capture each group very well. The students were fully engaged throughout the workshop and all involved and interested which was a credit to your presentation. They loved the diaries and in particular having the chance to write in other people’s dairies then in turn reading their own. Valuable lessons about thinking positive thoughts about themselves. This day met all my hopes and more for a dynamic paradigm shifting experience for our girls to have empowering alternative options away from the dominant discourses in which to position themselves. I intend to propose it as a regular event for Year 9. This is a truly fantastic programme for our girls. We have not only been able to see the long term benefits of the programme but have also managed to keep the momentum of the programme going throughout the year and from my discussions with our Year 13 girls they still remember their Enlighten day (in 2009) and highlight this day as something very valuable. As a result of this programme we have made up our Own GirlRule card building on from the statement NO GIRL GETS LEFT BEHIND. We have also had very positive feedback from community police about this card. The girls’ comments are detailed and thoughtful. Congratulations on such positive responses. Clearly the students were engaged throughout the workshop and, most importantly, you made them think about the issues raised. The girls (and I) had a great time. Meredith kept the girls engaged really well whether it was through journal making, playing “up to date” music to create the right atmosphere or just learning how to de-stress and calm ourselves. What stood out for most of the girls was the workshop ‘Love The Skin You’re In’. Seeing that even gorgeous models get photo shopped was a big eye-opener. Before the workshop a pre workshop questionnaire asked if the girls felt confident and beautiful. A staggering 74% said no. After the workshop was presented the same question was asked and 75% of the girls remarked that they now feel confident and beautiful. I would highly recommend this workshop for all Colleges and even Intermediates. I hope to invite you back sometime as I already have more girls come in and ask when the next workshop will be. Many thanks Rachel and Meredith for helping us show our girls they are gorgeous the way they are. Feedback for CEO, Dannielle Miller's Parent Seminars - New Zealand. Thank you so much – you are truly enlightening and I am very excited for my daughter to spend the day with you tomorrow! What a gift you are giving to our girls – such a brilliant investment in their lives today and in the future.Thank you. Great information! Fantastic to have this programme to enhance health courses at school. These topics are so important for our girls to debunk the media images portrayed and to have self-belief that they really are amazing. I was blown away about some of the statistics. I wish this course was around when I was at school. I can’t wait for your book! This stuff would be great for our younger daughter, as well as all younger girls. Several days ago, I glanced at my 14-year old daughter and though how pretty she looked – I didn’t say anything. I will go home and tell her she is beautiful and that Dannielle alerted me to how important it is to say what I think. Thank you for giving my daughter such a wonderful day to guide her through her life! This was a fantastic evening. Lots of food for thought. I would definitely attend another seminar. Excellent presentation. I think this was an eye opener for all parents. Thank you on behalf of ourselves and our daughter – it was worthwhile for her. My daughter attended your session on Tuesday and loved it. She spent all evening telling us every little detail. She was so full of enthusiasm. It was great. Thanks! This was a great, entertaining, informative evening. It blows my mind what we take for granted – what our girls are bombarded with. Definitely lots to think about and act upon. Brilliant! I love your work. For the sake of all of our girls, keep doing what you do best! We spoke to our daughter this evening prior to this meeting and she was very inspired and excited about her experience today. Thank you Dannielle. We feel so privileged that the school she is at has chosen its girls to be a part of Enlighten Education!